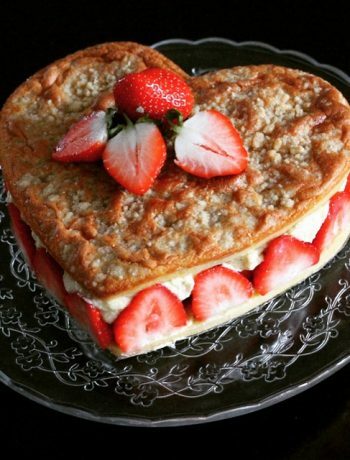 Hello my dear food lovers! 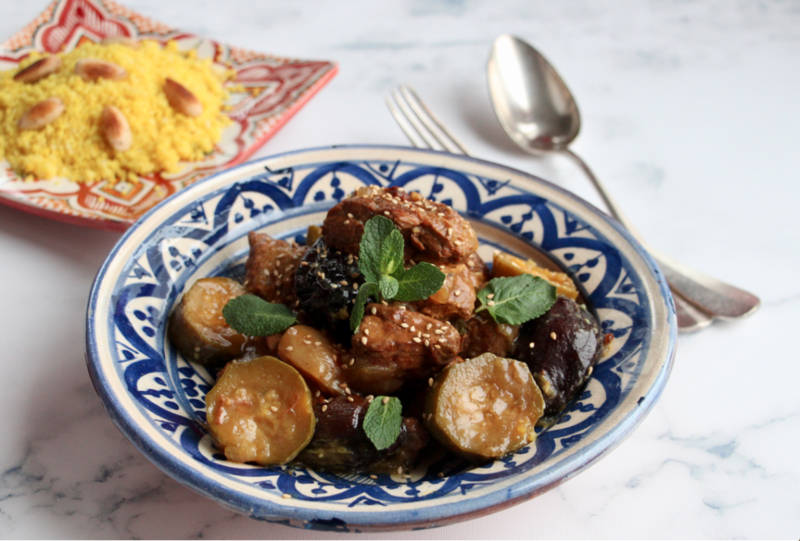 Let me introduce my lamb and prune tajine. 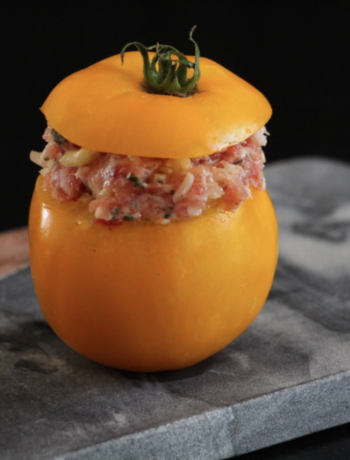 This recipe is the perfect family dish. I love to cook it when we are plenty around the table. This meals means sharing, smiling and sunshine!! And what I love even the most is that I always make more in order to have leftovers!! 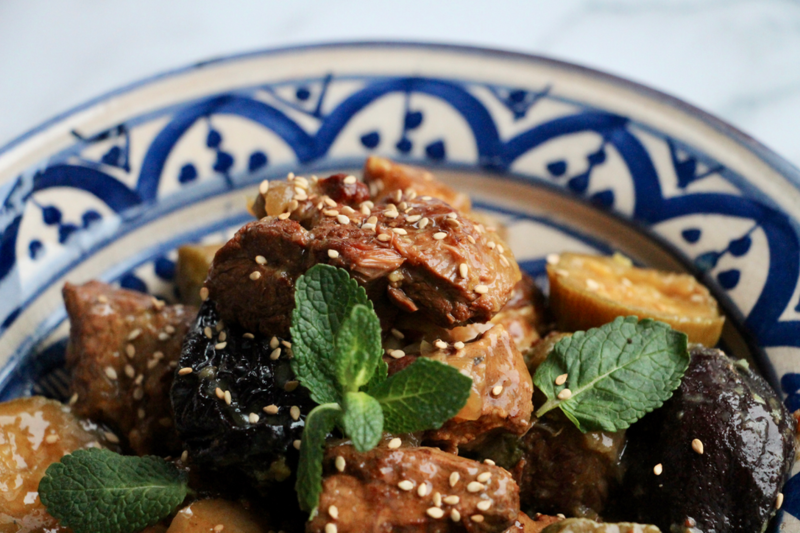 Because when you heat it again, this lamb and prune tajine gets even yummier. Honestly, there’s no big issue when you make this dish, and it’s not that long to prepare. My first advice: make sure to have enough time for a slow cooking. Your meat will be so much better: tender, tasty with all the spices, the herbs, the honey. 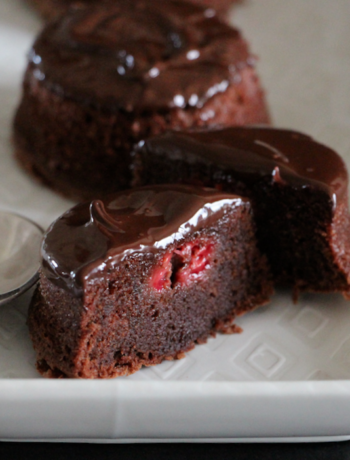 This is going to melt into your mouth!! My second advice: be generous when adding spices. 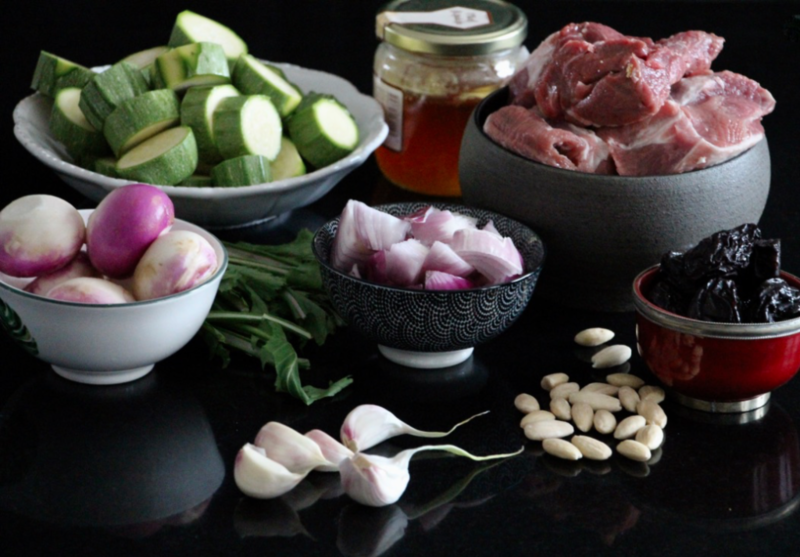 I suggest to combine this lamb and prune tajine with zucchini and purple turnips, but you can do it with many other vegetables: butternut, celery root, carrots, potatoes, etc. 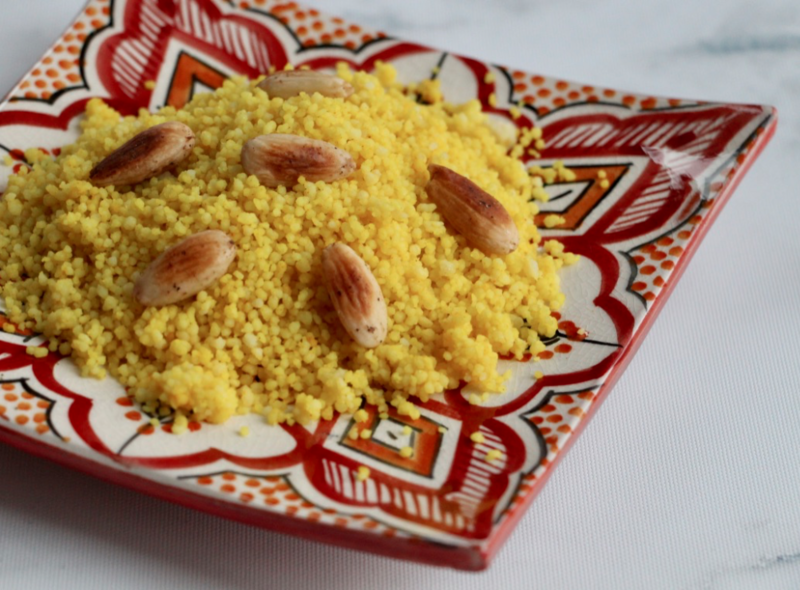 And as far as side dish is concerned, semolina is an obvious choice. With curcuma powder you’ll have a great taste and a lovely yellow color. A 26 cm diameter cast iron casserole. Peel and cut the vegetables. Chop the onion. Melt the butter with the oil in the cocotte. Roast the lamb cubes with salt until golden on each side. Set aside on a plate. Fry the onion in the cocotte. Add the garlic, then the turnip cubes. Cook for 4-5 minutes. 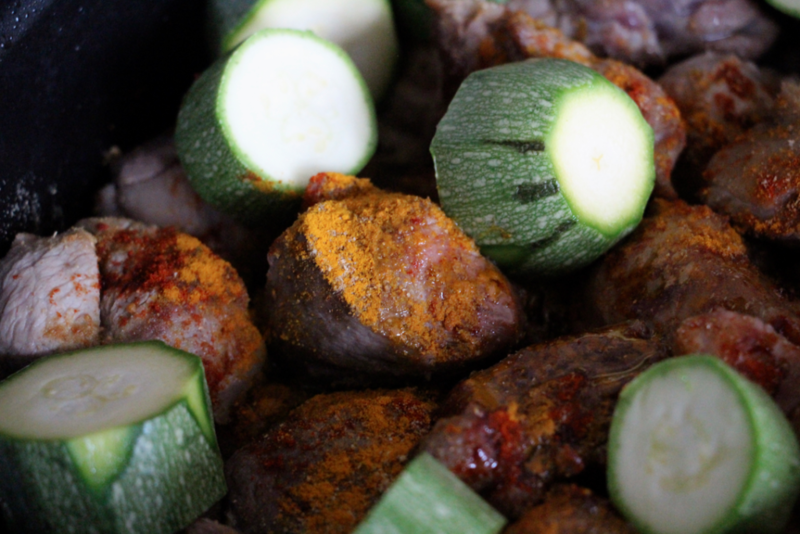 Add the lamb cubes and the juice that you may have in the plate. Add the zucchini pieces. Add one glass of water. Add the spices, seasonings, fresh herbs and honey. Let cook slowly for 1 hour with cover. Check the sauce seasoning with spices, salt and pepper. Let cook slowly again for 1 hour and a half with cover. Check seasoning again before serving. 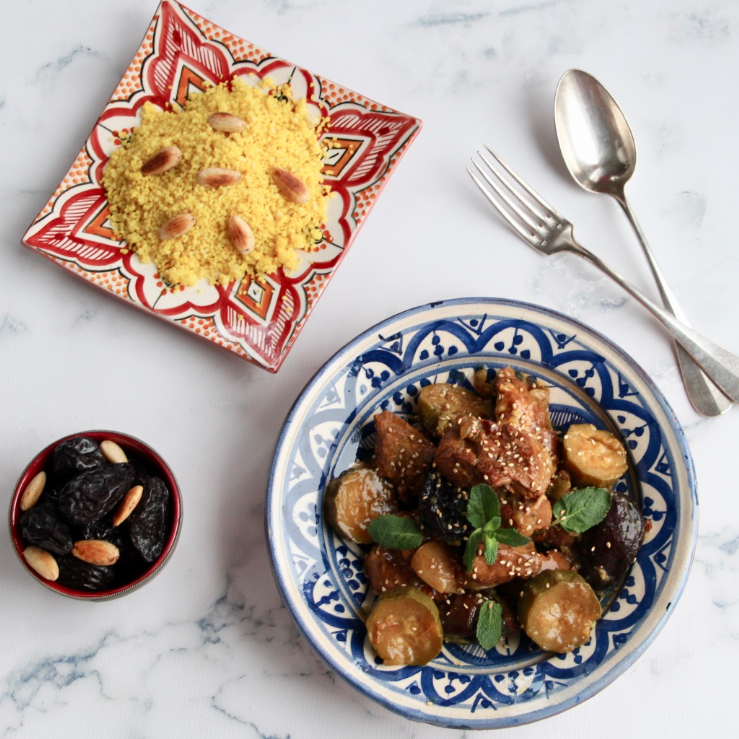 You can serve with roasted almonds and sesame seeds. 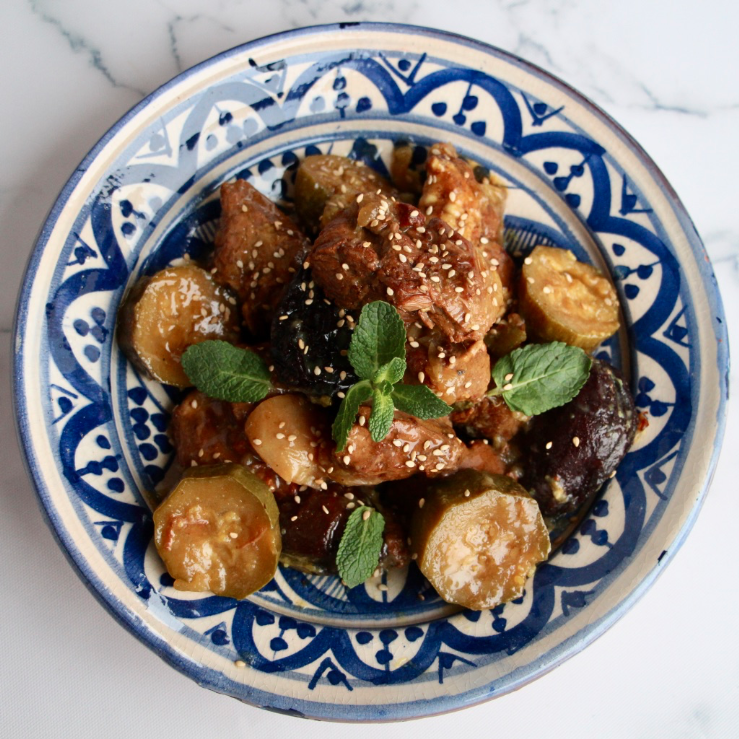 Hey Buddy!, I found this information for you: "Lamb and Prune Tajine". 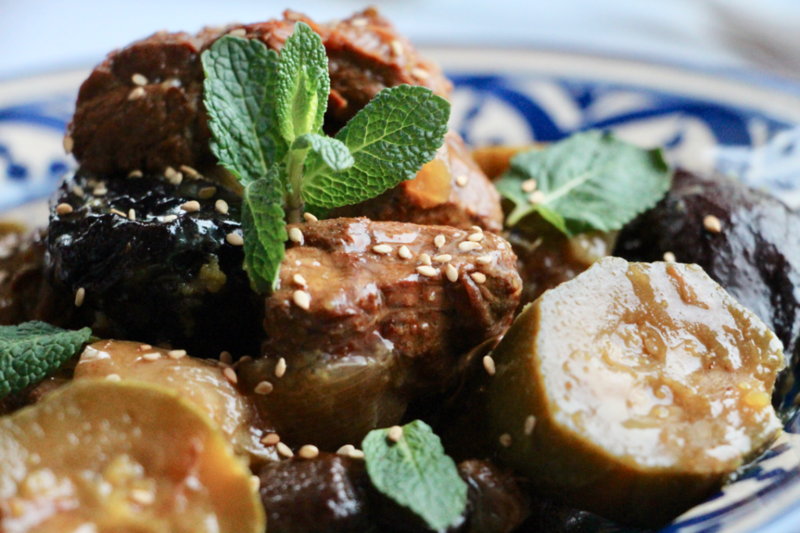 Here is the website link: http://www.casseroleetchocolat.fr/en/tajine-agneau-pruneaux/. Thank you.